Today we are proud to present a new piece for solo flute by contemporary composer Jeffrey Harrington. 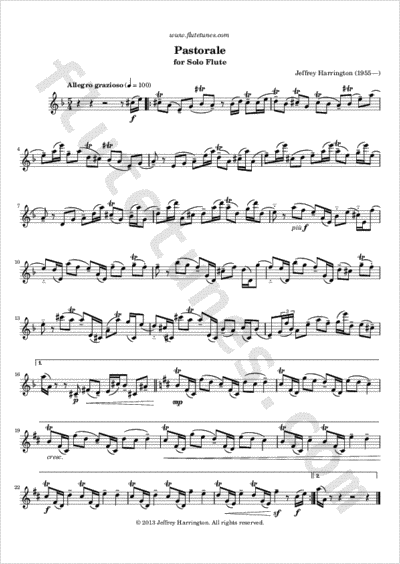 Pastorale for Flute is a short piece which turns its folksong-like material into quirky extended passages full of trills and birdsong-like effects. With its 5/4 time, its lively rhythms and its oriental-sounding melody, we hope this piece will leave you pleasantly surprised!